After defeating Geese Howard, legendary fighter Terry Bogard faces German warrior Wolfgang Krauser, only to suffer a humiliating defeat. Depressed by his loss, Terry wanders around the country, wasting his life through drinking. Only a young boy named Tony can convince Terry to go back to his winning ways, conquer his fears, and once again face Krauser. 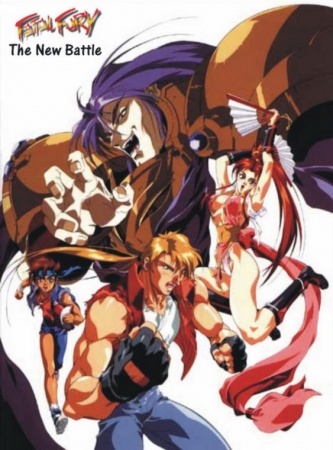 Watch Fatal Fury 2: The New Battle Episodes Online at Animegg.org. Fatal Fury 2: The New Battle is available in High Definition only through Animegg.org. Choose an episode below and start watching Fatal Fury 2: The New Battle in Subbed & Dubbed HD now.